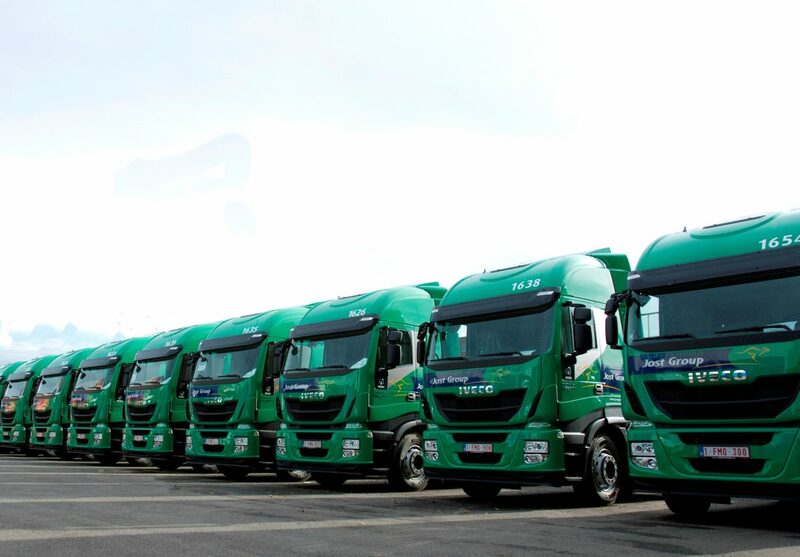 Five hundred LNG powered long distance trucks from Iveco will form part of the fleet of European logistics operator, Jost Group. Iveco has secured the largest deal for Stralis NP vehicles to-date, with 500 new trucks set to enter operation with the pan-European transport and logistics specialist, Jost Group. Designed to be the most sustainable long-distance heavy truck ever manufactured, the new deliveries will run on Liquified Natural Gas (LNG), a mass market alternative to diesel. Commenting on the agreement, Roland Jost, Owner of Jost Group, says: “This marks a key turning point for our business as we begin a strategic move away from our dependence on diesel and towards green logistics, as requested by our customers, which are demanding more sustainable transport. Our excellent experience operating Stralis Euro 5 EEV diesel vehicles has seen us establish a solid relationship with Iveco, supported by a very strong service network across Belgium. Demand for LNG is growing rapidly across Europe, with the German Ministry of Transport and Digital Infrastructure (BMVI) having identified LNG as the best fuel for long-distance road transport in the short term and for the next 10 to 15 years. When running on fossil derived natural gas, the Stralis NP’s CO2 emissions are up to 10% lower than its diesel equivalent, depending on mission and gas composition – rising to up to 95% lower with the use of biomethane. With Iveco’s natural gas technology, the level of particulates are negligible and the NOx 50% lower compared to diesel over long haul missions. It is also much quieter, reducing engine noise levels by around 50%.